Established in the year 1993, Pearl India International Inc. is one of the leading Manufacturer, Wholesaler and Exporter of Pendant, 3 Piece Jewelry Sets, 4 Piece Jewelry Sets, Diamond Jewelry and much more. Our great mentor Mr. Ravi Shankar Pareek has been driving the whole organization with his competent resource and management skills to achieve milestones in the business. We offer Customization facilities to our Clients . We have a strong team of Designers and workmen who are skilled in designing modern designs together with antique craftsmanship. We have a Quality management team to supervise the quality of our products . 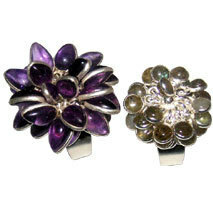 All Products are flawless and One of their kind in terms of quality and designs. Pearl India International Inc. is 100% Export Oriented Unit. 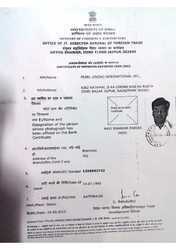 IEC certificate attached here in. Jewelry on the woman is like flowers on earth. It adds on to the beauty of woman just as flowers do it for the earth. Each and every woman is special and different from others. She must be complemented with the jewelry that matches her persona and decorates her to the finesse of the eternal beauty. Our range of innovative and creative designs of 925 sterling silver jewelry is inspired by all the above-mentioned ideologies. B. 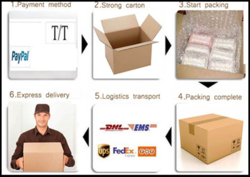 Packing According to Customer''s Requirement. C. Customer''s Designs and Samples are Welcome. E. Parcel is Shipped in 7 days after the Receipt of payments. Shipping is done by UPS, FedEX, Aramex, DHL and Other reputed compaines. F. We offer door to door delivery.